What is Omni-Channel Self Care Solution ? hSenid Mobile’s Omni-Channel Self Care Solution is built to cater the prepaid subscribers of Mobile Operators. It addresses the need for ‘Any Time-Anywhere’ access to the consumer mobile account while providing the freedom of mobility to the consumers. It enables prepaid customers to check balance, recharge account, activate data packages, activate add-ons and locate service outlets with ease. USSD application designer and Service Management framework used to manage the USSD application requests and services. hSenid Mobile’s Omni-Channel Self Care Solution empowers prepaid mobile subscribers with an easy to use self-service portal. It enables the consumers to initiate their own mobile service requests while the mobile operators can manage and monitor the consumers and services delivered. 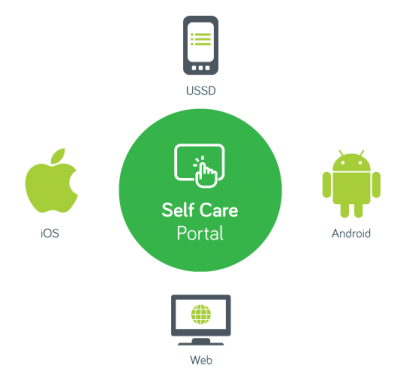 Omni-Channel Self Care Solution is a common platform for managing and configuring all self care channels which include Web, Android, iOS and USSD. This will ensure the satisfaction among an operator’s customer base due to the increased availability and efficiency of services delivered.